Can SEPTA really get a celebrity to voice announcements? Septa subway trains are running again at 8th and Market Streets, in Philadelphia, Monday, Nov. 7, 2016. Your favorite Philadelphia celebrities might eventually join you on your ride home. On Friday, SEPTA released the results of a contest that asked riders who they'd like to hear voice announcements while waiting for the next train, bus or trolley — and the transit agency wants to see if it can make that happen. The naming contest came after Vancouver's TransLink partnered with actor Seth Rogen to voice transit announcements in his hometown, inspiring the marketing team at SEPTA to explore riders' preferences for celebrity voices in Philadelphia. The transit agency received 954 entries, with Will Smith racking up 145 to earn the No. 1 spot ahead of comedians Big Jay Oakerson and Kevin Hart. Other popular responses included actress and Upper Darby native Tina Fey, Eagles announcer Merrill Reese and player Jason Kelce, 6ABC's Jim Gardner, NPR's Terry Gross and Questlove. "I think we'll reach out to quite a few," said Liz Bradford, SEPTA's director of marketing. SEPTA intends to start contacting the celebs this month to see who, if anyone, would be interested in voicing some type of announcement for the system. It's not a far-fetched idea — you may have recognized the voices of former Eagles player Connor Barwin or the Phillies' Rhys Hoskins' while getting around on SEPTA in the past. The two recorded short messages that tackled recycling and safety. Floating possibilities for the celebs, SEPTA's blog noted Smith "would sound great when announcing, "Local train making all stops to 69th Street in West Philadelphia — born and raised!" and "We agree Tina Fey's "Delco" accent would sound great on the Route 101 Trolley, don't you?" SEPTA won't be dipping into its budget to make more celebrity announcements possible — they would need to be "100 percent" volunteer-based, Bradford said. Not all recordings are made the same, and they can be changed when a new stop or schedule comes along. 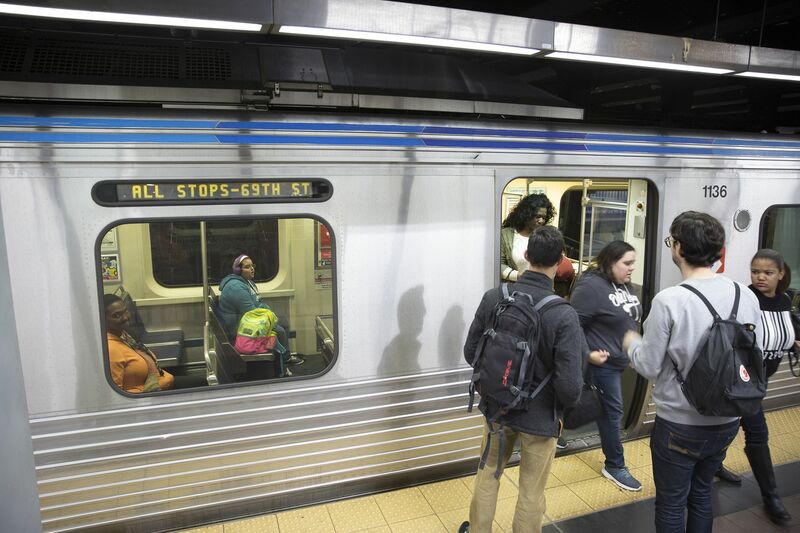 On the Market-Frankford Line, SEPTA has a contract for announcements with Philadelphia-based Baker Sound Studios, while the Silverliner V Regional Rail trains feature a synthesized voice via text-to-speech technology, said Heather Redfern, a SEPTA spokesperson. Announcements made aboard other Regional Rail trains are by SEPTA employees themselves. P.A. announcements at Regional Rail stations are also made by SEPTA staffers. "It's important that the voice doesn't take away from the essence of this job, which is to relay information and help the public get where they are going safely," announcer Alvin Elliott told columnist Helen Ubiñas in 2013. "If I don't do that, then it doesn't matter how nice my voice sounds. I'm just a talking head with no substance." Riders certainly take note of any adjustments. In 2011, some were a bit rattled when announcement changes along the Broad Street Line altered an "oddly accented" pronunciation of "doors closing," City Paper reported. @jonpoet Currently enjoying my first "dawhs closing"-free ride on the Broad Street Line in years. It's fantastic! SEPTA says it's hoping for a more of a recognizable voice moving forward. "Whether or not SEPTA can pull a celebrity name to read announcement on the system, remains to be seen," the agency wrote on its blog. "But stay tuned — we're gonna try! Hey, crazier things have happened…"